A strain of bird chlamydia linked to abortions in horses in New South Wales is a reminder of the care people need to take when handling horses in Australia, a researcher says. Pregnancy losses in horses have been traced in a study to a strain of bird chlamydia by researchers from the New South Wales Department of Primary Industries and the University of the Sunshine Coast. The cluster of abortions at the centre of the research drew particular interest, following several cases of the bird pathogen in staff at a veterinary school. The staff, who suffered respiratory symptoms, had been in contact with the infected membranes passed by a mare, whose foal died a week later. Lead researchers Dr Martina Jelocnik, from the University of the Sunshine Coast’s Animal Research Centre, and microbiologist Cheryl Jenkins, who is with the New South Wales Department for Primary Industries, say veterinarians and people who are in contact with infected horses could also be at risk. “The fact that birds can transfer chlamydia to humans is well-known; now there is more evidence horses may transmit the disease too,” Dr Jelocnik says. 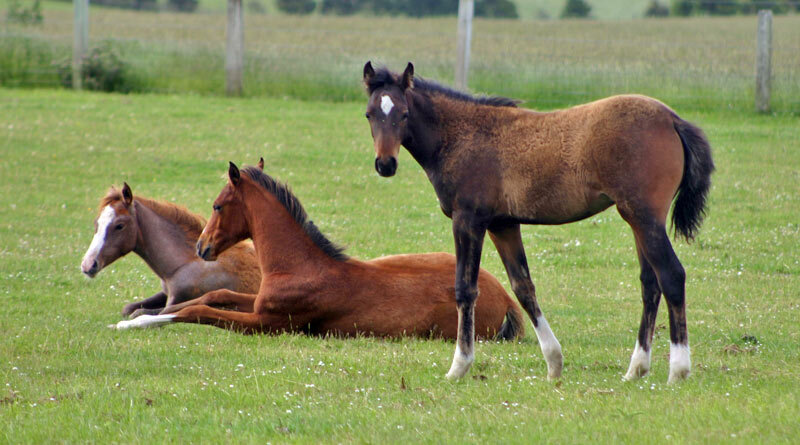 A team of researchers from the university, the state Department of Primary Industries, Scone Equine Group and Hunter New England Health studied cases of pregnancy loss and foal death in 2016. Dr Jenkins said DNA studies found at least 20 per cent of the cases may have been caused by the chlamydia strain Chlamydia psittaci. “Further research is necessary to determine the range of potential factors influencing infection from birds and the risk equine infections pose to human health,” she says. The findings of the study were recently published in the journal, Emerging Microbes and Infection. The first description of equine chlamydiosis in Queensland was reported in Transboundary and Emerging Diseases earlier this year. Advice to Australians to help prevent spreading disease from horses to humans is available online here.